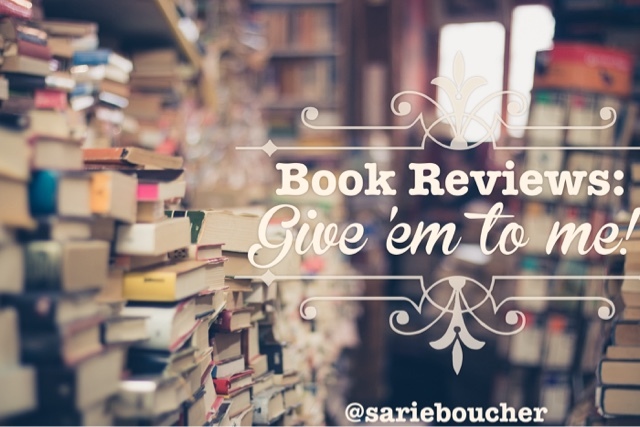 Reviews: Give 'em to me! My background is in academic writing rather than creative writing, so I have a different perspective on constructive criticism than the run-of-the-mill author. Basically, I get really excited when people review my books. And I don't despise three-star reviews. Let me say that again: I don't despise three star reviews. Having a variety of reviews legitimizes books and authors. Even those one- and two-star reviews that make writers wonder if readers actually finished the book. In fact, books with all five star reviews make my eye twitch. I think, Really? There was nothing wrong with it? There wasn't a time when you wished the author had gone in a different direction? Or a character you fell in love with who didn't get enough screen time? Success in the literary world is a numbers game. Reaching new readers is the name of the game. And when you share your book with the world, you have to be prepared for honesty, even from your friends and family. 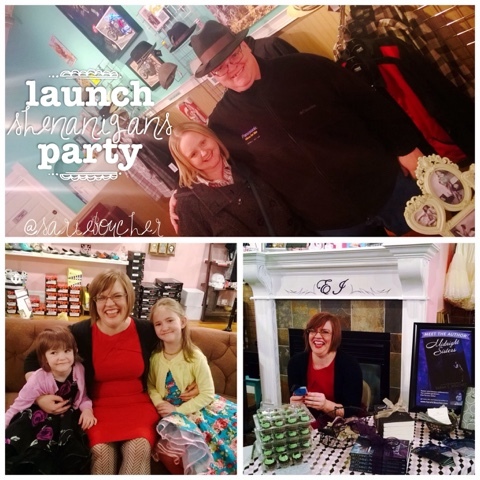 For instance, at my launch party for Becoming Beauty, my dad sat down with me and outlined some of the issues with my first novel. The novel I was at that moment launching. I think I blinked at him. A lot. But I listened and made notes for my subsequent novels. The second we decide we know everything about our craft, we may as well retire. Because apparently we have nothing new to offer the literary world. Keep learning from your mistakes, my friends, and move forward. Swallow that ego and open your ears. So, how do you get reviews? Well, it helps when you have a publishing house behind you. Cedar Fort sent my books to libraries and librarians and reviewers. 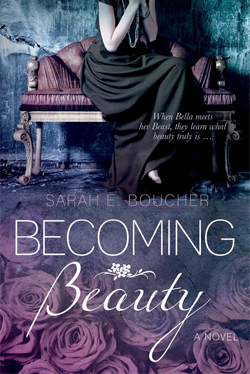 Using their database, I made personal contact with Becoming Beauty's blog tour participants. They're the ones who started the ball rolling. I've done the same with Midnight Sisters. A blog tour is a lot of work, especially if you'd like something more than cookie cutter posts, but it's well worth it to reach new readers and reviewers. And feel free to beg. Writers can't be afraid to ask for reviews. They just need to be ready for a few iffy reviews. Learn from each book you publish and grow with each project. So here it comes! Are you ready? If you've read my books, hop on Amazon or Goodreads and leave me a review. Good. Bad. Meh. I'll take them all! Just give your honest impressions and click the submit button! It's like sharing your favorite brand of Girl Scout Cookies, people will take your opinion into consideration. 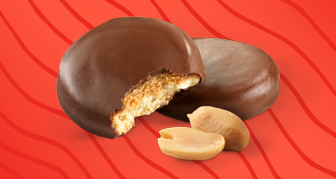 By the way, the correct answer is Tagalongs, my friends. Yes, Tagalongs. If you're a writer (or in any other review-driven field) wondering how to deal with negative reviews, I'm there for you too! We all have a few stinkers in the bunch. We grin and bear it and remember that exposure is always good. The fact that I teach kindergarten and have done so for the past decade means everyone assumes I write children's books. It does make sense. I'm sort of an expert. But it takes a certain something to write an appealing children's book and I am far too obsessed with big words to attempt it. However, I still follow a number of children's authors and illustrators on Twitter because I fully appreciate what they do. 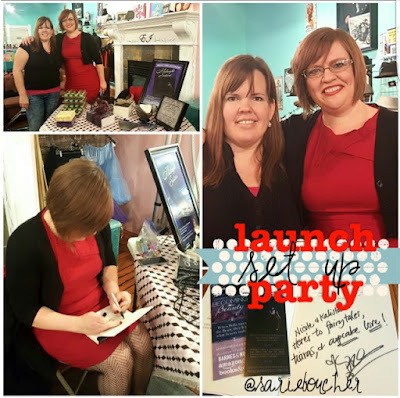 So, when I was invited to participate in Ladybug's Garden Blog Tour, I came right on board! Ladybug's Garden is a sweet story that touches on the importance of attending to the needs of others. Since we've been discussing community helpers in my classroom lately, I introduced Ladybug's Garden to my kindergartners. Out of the fifteen children, twelve enjoyed the story and three were unsure if they liked it. (BTW all three were boys. All the girls present liked Ladybug's Garden.) After reading the book, we discussed what they liked or did not like about the story and how they felt about the illustrations. Boy: Well, ladybug helped bee and snail. It made me feel happy. Boy: They made it up the hill. That made me happy. Girl: She made everyone help. I like that they made her a party. Me: What did you not like about the story? Boy: The snail was going slow. He couldn't deliver so much. Me: What did you think about the illustrations? Girl: I liked all of them. Overall, it was a very positive response from the Schofields' intended audience. Ladybug's Garden is especially appealing to girls. They appreciated both the story, the illustration, and the fact that it was written and illustrated by younger authors. I believe that when I add it to our classroom library, students will choose to reread it. Initially, I didn't fall in love with Ladybug's Garden. but when I shared it with children, I enjoyed the rhythmic flow and bright illustrations much more. I think this would be a wonderful story to share with the youngsters in your life. As an adult, I would probably rate it as 3.5 stars. When Ladybug receives an invitation to a picnic, she prepares a basket of treats to share and sets off into the garden. On her way, Ladybug notices several bugs in need. She happily stops to help them, but worries she won’t make it in time. When Ladybug finally reaches the picnic, she discovers a sweet surprise! Watch the trailer for Ladybug's Garden for more details! Ladybug's Garden is available on Amazon and Barnes and Noble. See what everyone is saying about Ladybug's Garden! 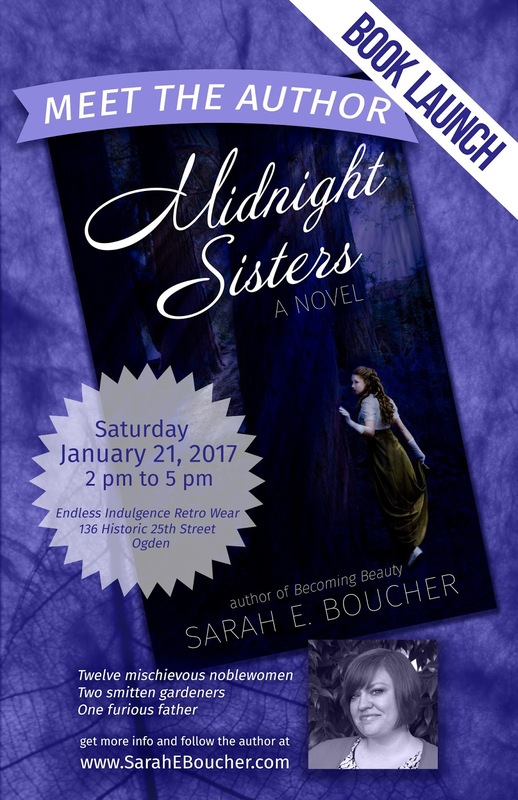 Book Launches are the whipped chocolate ganache atop a carefully assembled cake. Because seriously, what kind of nutjob skips the frosting? Becoming Beauty's Book Launch was a blast! 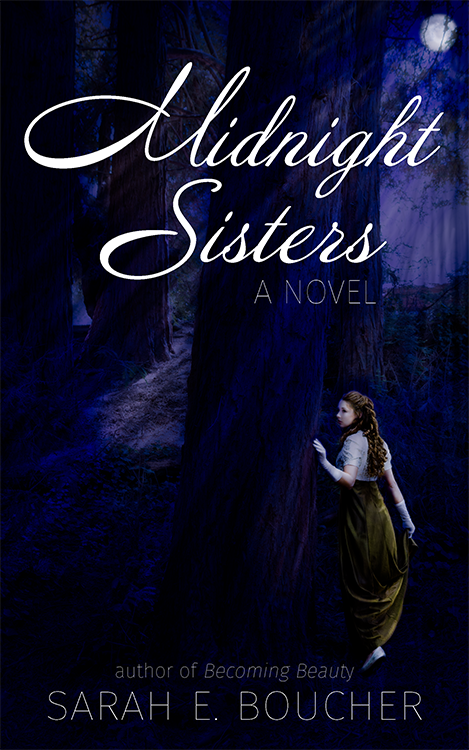 Even though I self-published Midnight Sisters, I still wanted to give it the coming out it deserved. 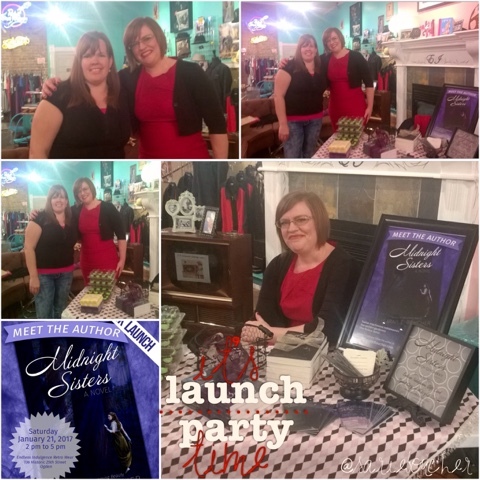 So on Saturday, January 21, 2017 Endless Indulgence Retro Wear hosted Midnight Sisters' Book Launch Party. And it was a party! Invitations and events set up via social media that are easy to share and promote. No matter how good the venue is (and mine was awesome) it won't matter if no one knows about it. My philosophy is to keep things as professional and fun as possible. Put on your fancy shoes, your best author grin, and get to work! And custom cupcakes never hurt! Thanks again to Nicole's Cupcake Corner for helping us fend off low blood sugar! And thanks to everyone who participated, visited, nabbed a cupcake, entered the giveaway, bought a book, and kept me giggling all afternoon.